Green cats, purple babies, and a room full of bacon. This is the type of peculiar imagery you can expect from the installations of Sandy Skoglund. 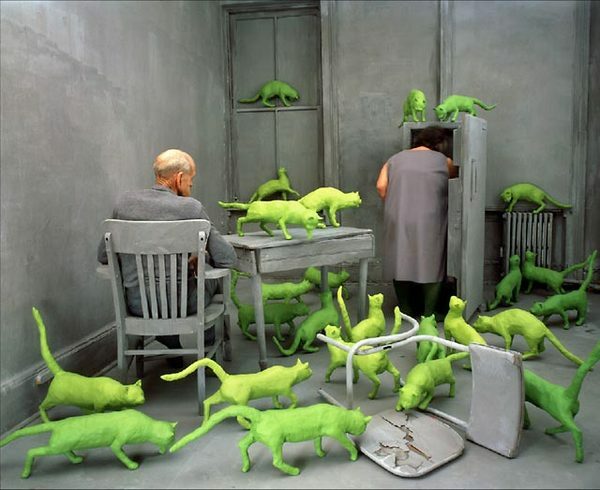 Skoglund, an American installation artist, and professor at Rutgers University, is most known for her installation, Radioactive Cats. Radioactive Cats, depicts a bizarre scene where numerous hand crafted clay cats strangely paw through an elderly couple’s colorless kitchen. It’s a mystery to the viewer whether these bright green cats belong to the couple, as they both seem quite calm while the cats crawl upon their furniture, or whether the cats have entered the kitchen with the intention of a feline invasion. "A painted picture is a vehicle. You can sit in your driveway and take it apart or you can get in it and go somewhere." 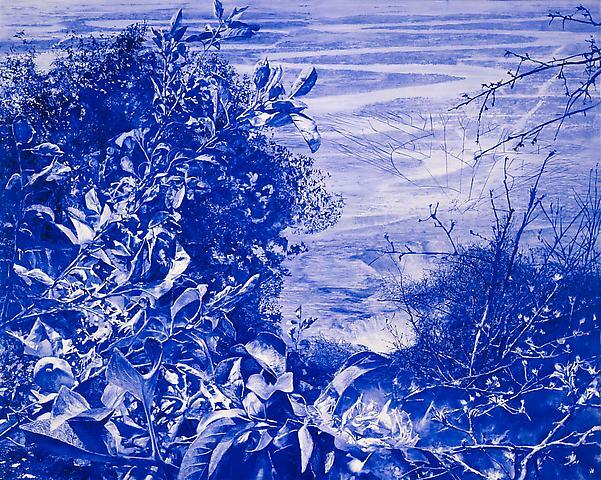 Currently featured in the Second Nature: Contemporary Landscapes exhibition at the MFAH, Mark Tansey's Apple Tree depicts a highly photographic rendering of flora in an outdoor environment. What at first glance may appear to be an incredibly altered, complex photograph is in fact a single hue of vibrant ultramarine oil paint manipulated into a seemingly photographic state, recalling blueprints and old scientific illustrations. I was recently fortunate enough to view Apple Tree in person at the MFAH. The blindingly bright blocks of ultramarine may appear photo-realistic upon first glance but, after closer inspection, one is drawn into the intricate, painterly strokes that together create the illusion of flatness. I could tell the second I stumbled upon photographer, Margarete Jakschik, that I would be more than entranced by her story telling. Jakschik delivers her photography in a way that makes something inspired by the past completely new. While looking through her first solo exhibition, Pardon My Heart - inspired by a Neil Young song released in 1975 - at Galerie Gisela Capitain, I saw a pattern of loneliness, moments being forgotten, and someone searching through the images for a lost or wanted reality. Neil Young's lyrics, "I've followed the road but don't know where it ends," fitted Jakschik's Untitled 2006 collection taken in Los Angeles perfectly. Songs For Eating & Drinking. 2008. Photographer Chase Jarvis embodies a trait that many artists either fail to fully convey, or that is cast aside intentionally. This trait is transparency. I'm not saying that artists who don't reveal their every process, motive, or thought about their work are by any means superior or inferior. Jarvis seems to take on this mode not so much as an underlying force to fuel a concept or theme behind his work, but as a largesse to his contemporaries and other aspiring artists and photographers. Driven by his desire to explore cultural and political "otherness", Saad Qureshi expresses his ideas through sculpture, painting and drawings that iterate his ideas of perception. Qureshi himself is multicultural being British Asian and his cultural past and journey heavily influence and direct the concepts he attempts to convey. 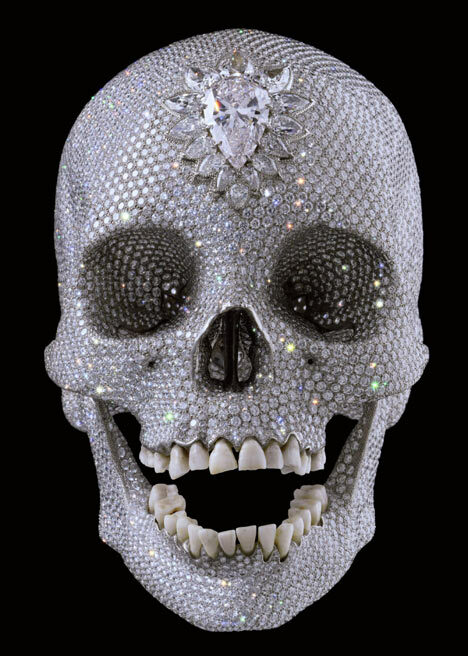 Damien Hirst, in 1995 was quoted for saying “I always ignore money,” in a conversation with the Idler. Which is a bit of an outlandish statement to say coming from a man whose wealth 15 years later in the 2010 edition of the Sunday Times Rich List is valued at £215 million. Widely considered the richest artist alive, Hirst, has made an international headline name for himself through his visual art pieces. I started by researching artists that would give a certain shock value, which I love seeing people’s reactions to things and testing the boundaries of their minds. I looked at several different artists and remembered a magazine I bought for collage work that had I never used. In the magazine Rue Morgue: Horror in Culture & Entertainment there was an article about the photographer Joshua Hoffine. The article is titled “The Giant Spider, The Candymaker, And The Wolf With Hands” written by Jovanka Vuchovic in the March 2009 issue. 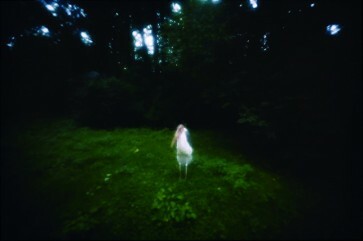 His first photograph was “Phobia”(fear of spiders) in October 2003, and two weeks later he made the photograph “Wolf”(Little Red Riding Hood). 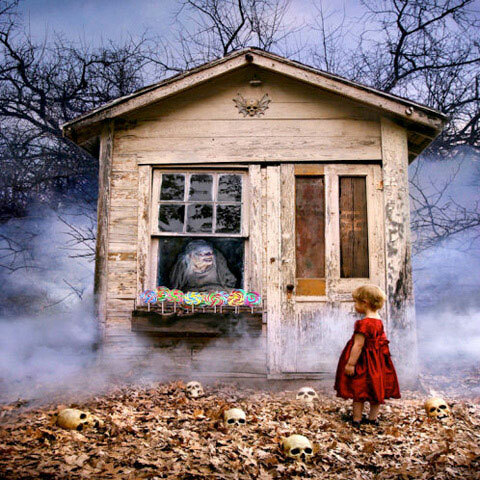 Hoffine has many more photographs focusing on a range of fears: “Balloons” (fear of clowns), “Closet” (fear of a monster in the closet), “Candy” (Hansel and Gretel), and many more which can all be found on his website. Hoffine had an exhibition called “A Love Craft: Art Inspired by Monsters, Madness and Mythos” in the Observatory in Brooklyn, New York. This exhibition was on view from July 11, 2010 till July 23, 2010. 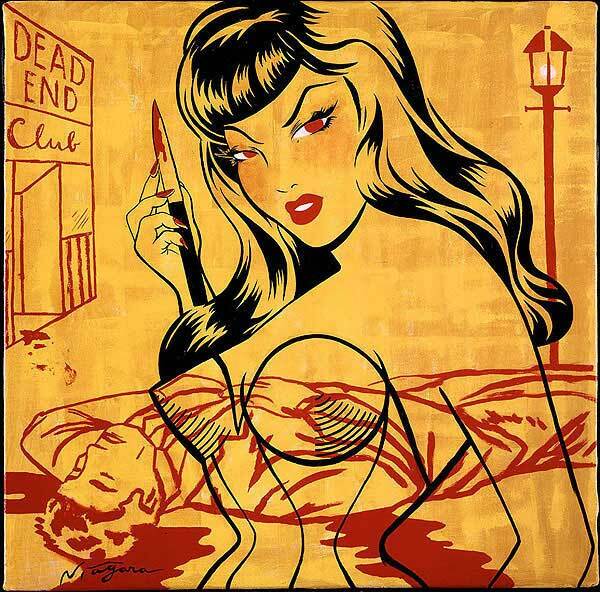 Hoffine also had another exhibition later that year at Sacred Gallery in New York, NY. The exhibition was called “Blood, Sweat, and Fears” and was on view from October 2, 2010 till October 31, 2010. Hoffine has future plans to publish a book and also hopefully make his own movie. Many fans including myself cannot wait to see what he can do in the film industry. 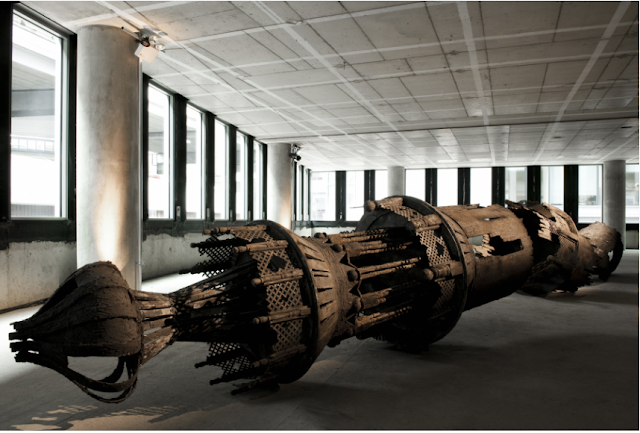 Nathalie Djurberg is a promising young artist who won the Silver Lion Award for the 2009 Venetian Biennial. Despite being admired by many, the nature of Djurberg’s work leaves some to speculate and feel resistance. As Jeff Regensburger puts it, “Her work creates a tension that forces viewers to confront the horrors they see while simultaneously dreading the horrors that come next.” The work of Nathalie Djurberg is creepy and perverse. It reminds me of a Tim Burton film, but goes a lot farther than “The Nightmare Before Christmas.” The images are like from a nightmare—the kind you wake up sweating from are too ashamed or afraid to talk about. Although I could not find much information on Helmut Lohr, a German fine artist born in 1955 living and working in New Mexico, I was intrigued by his work too much to pass him by. 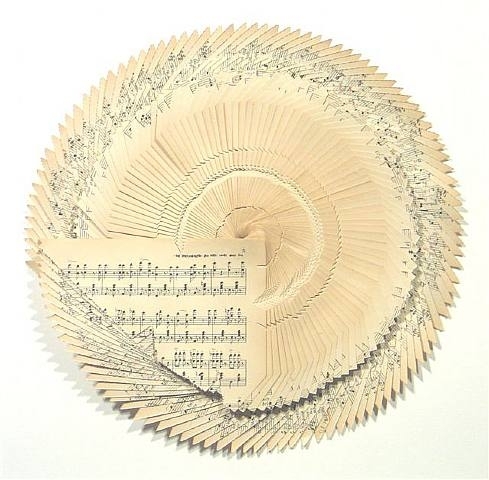 Lohr was an important representative of visual poetry, performance, collage, conceptual art and texts in different languages incorporated into most of his work all forming a unique visual experience. Different texts were found in numerous mediums, not as a message, but as a visual aspect adding to the over all concept of the piece. "I find the fallibility of man to be the subject that I connect with the most in most artwork." The average viewer may not pick up on this idea at first glance of artist Erik Thor Sandberg's work. Based in Washington D.C., Sandberg is a contemporary artist who produces skillfully executed figurative paintings. Greatly inspired by sixteenth century painter Pieter Bruegel the Elder, Sandberg's works poke fun at social satire and showcase the effect that humanity has on nature. 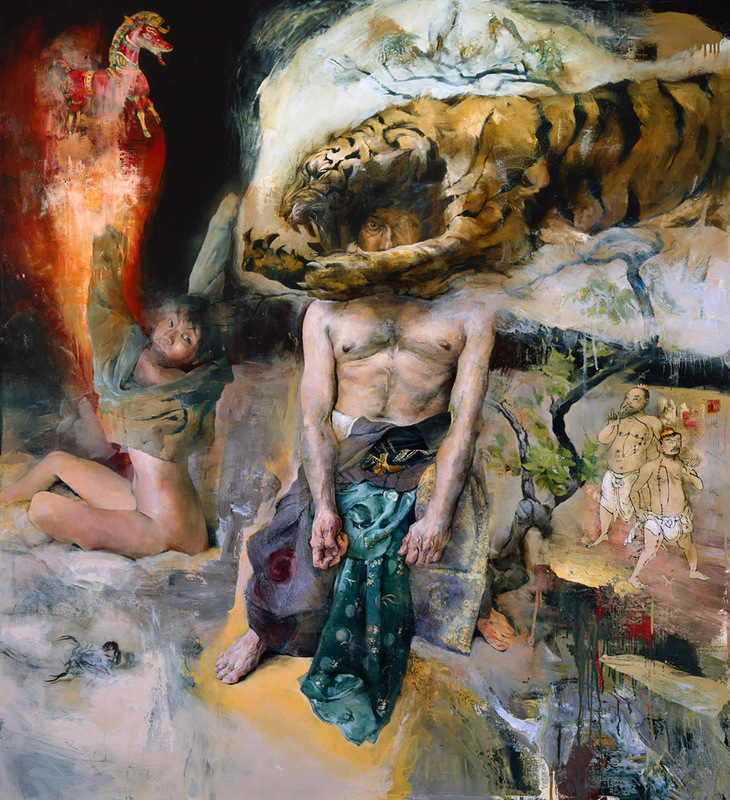 His paintings are complicated and somewhat ironic in the way that he places beautifully sculpted figures in a visually appealing setting, while these figures engage in such "in your face" acts. Artist April Gertler is somewhat new into the world of contemporary art and she is proving that she is no one to be overlooked as she is bringing her new concepts and media into the contemporary art world. Gertler received her BFA in photography from California College of the Arts in Oakland, California (1997) and her BFA in photography from Stadelschule in Frankfurt, Germany (2002 winter semester exchange) and Milton Avery Graduate School of the Arts at Bard College in New York (2001 / 2002.) Gertler now resides mostly in Germany where she was born but is constantly jet hopping around Europe while pursuing her passion for photography. Photography isn’t her only strong point although; she is bringing her outstanding collages into the mix as well. Percy Bysshe Shelley once said, “Man's yesterday may ne'er be like his morrow; Nought may endure but mutability!” What he meant is that we can always free ourselves from unhappiness through mutability. Humans are completely changeable. Patricia Piccinini’s artwork relates to this quote because the majority of her art narrates how humans and animals are being transformed into creatures of genetic alteration. 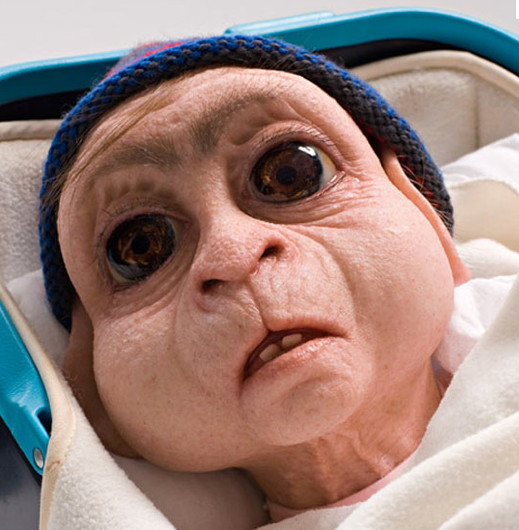 Piccinini’s foundation comes from genetic mutations, biological abnormalities, and the scientific foundations of beauty; which is different from most contemporary artists. Her work draws a thin line between art and science, leaving her viewers thinking what could happen to the human race as we continue to experiment with new scientific knowledge. It's obvious that most artist create their work with the intent of entertaining and inspiring their audience, but it's not every day that you find a piece of artwork that cannot only be related to the majority of people but that viewers can contribute to. Sculptural artist Jean Shin turns the most common day items ─such as pill bottles, scarves, vinyl records, and old trophies─ into breathtaking works of art that not only hold deep meanings but depend on ordinary people's help for their construction. Marketa Sivek, SOMEWHERE, Oil on Canvas 48" x 36"
Born under communist rule, Marketa Sivek is a self taught artist who began her post-collegiate career with a rite-of-passage atypical than that of most students. Her graduation to adulthood included witnessing the Velvet Revolution in Prague; and took her from a recently liberated Czechoslovakia to the United States, where she pursued her passion for painting and left her studies of Archival Science behind. Though Sivek is inspired by Icelandic landscapes, classical music, graphic design, and the relationship of the past to the present, one cannot help but question the influence her formal education and the sociopolitical landscape of her youth have had on her art. 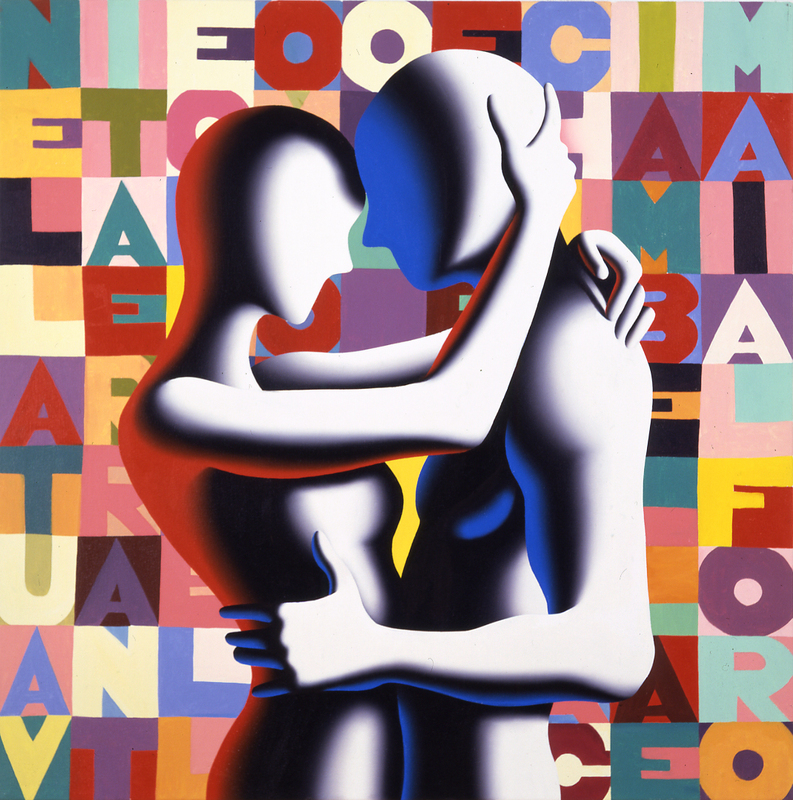 Artist Mark Kostabi was born in Las Angeles in 1960 and was raised in Whittier, California. In 1982 he moved to New York and by 1984 he was a leading figure in the East Village art scene. Kostabi's paintings are often of faceless, featureless figures much like mannequins in life-like poses. In 1988, he founded Kostabi World, his large New York studio which occupies the entire third floor of some prime property in the heart of New York's SoHo where it was known that he employed many assistants who came up with ideas for paintings and another group of people who turned those ideas into works of art which Kostabi then signed. Seemingly influenced by a materialistic culture that is overwhelmed with its possessions the artist Sayaka Ganz creates pieces out of every day house hold objects such as kitchen utensils, toys and appliance wire all of which have been discarded at one point or another. At first glance her work seems to be some kind of commentary on the effect people have on the environment through the amount of waste we produce. It isn’t until closer examination and a more thorough understanding of the artist intention that my initial conclusions were thankfully wrong, as her true intentions are much deeper than that. 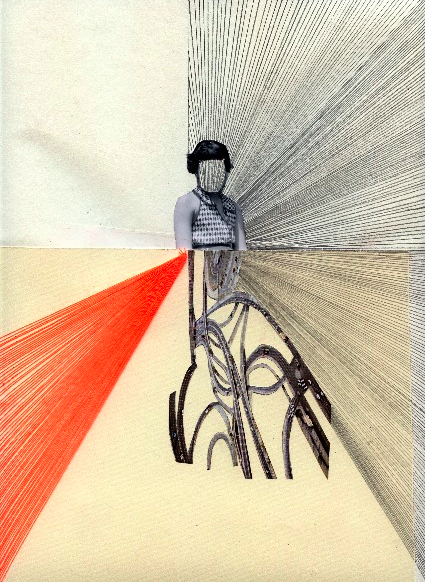 After searching for an artist I wanted to learn more about, I came across work by Stefanie Gutheil. As I researched further, I came across an entire series titled Dreckige Katze (which in English translates to Dirty Cat). The cats, lasers, and rainbow puke immediately caught my eye. 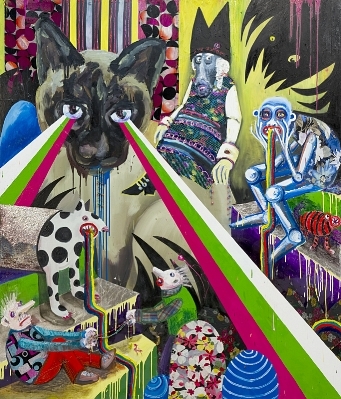 These fun and grotesque images seem to pop off the canvas. I find myself thinking I am at a weird circus on a bad acid trip, sort of like that scene from Knocked Up where they go see Cirque De Soleil on shrooms. It’s as if Gutheil is giving the viewer a glimpse into her own messed up view of the world with depictions of masked figures, imaginative creatures, and cats. 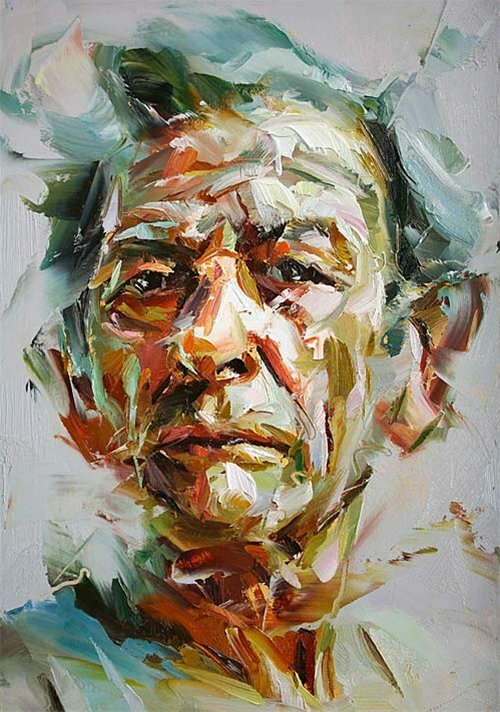 Paul Wright is an up and coming figurative painter hailing from Leicester, England. Working primarily with oil paint on a number of different surfaces, Wright paints in a largely expressive style and often employs the use of bright, bold colors. 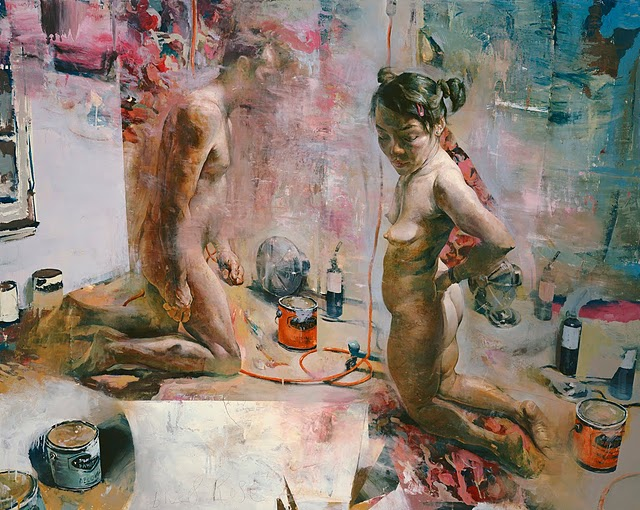 Wright makes a conscious effort to "capture a vitality beyond the establishment of a mere ‘likeness’ to the subject" in his paintings, as quoted from his biography, thus lending his abstract style to uniquely represent figurative content, when traditionally it would call for a more photorealistic rendering of the model. For something we use every day we don't quite often see paper in such a way as Richard Sweeney uses it. Born 1984 in Huddersfield, England. He discovered a natural talent for sculpture at Batley School of Art and Design in 2002, which led him to the study of Three Dimensional Design at the Manchester Metropolitan University, where he concentrated on the hands-on manipulation of paper to create design models, which ultimately developed into sculptural pieces in their own right. Mark Ryden, The Piano Player (#94), Oil on canvas, 20" x 30"
When I chose to post about a trend, I began with the images I have seen in the magazine Juxtapoz, and had no idea that they actually belonged to an art movement. I thought that I would have to title my trend "Little Girls With Gigantic Heads and Sad Eyes." 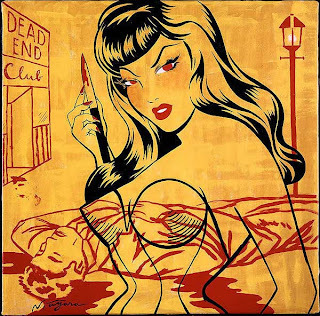 Looking further into what I now know as Pop Surrealism, which is interchangeable to some art critics with the name Lowbrow, I discovered that Pop Surrealism came out of the underground movement in Los Angeles during the 1970s. The underground movement began with artists such as Robert Williams and has themes of illustrative techniques, unusual situations and humor. It would reflect themes of balance...: life and death, joy and sorrow, happiness and sadness, hope and despair, light and dark, gain and loss, creation and destruction. After Tyler's passing, my life was so out of balance that I could not address the themes of death, sorrow, sadness, despair, darkness, loss or destruction that had been so much a part of my work. My real world was so devoid of light and joy that I created a world of light and joy in my artwork to get me through. After learning of the loss of his son, his artwork seemed to have a deeper meaning than just pretty colors and shapes. The images he creates portray deep emotions of both hurt and strength, making it clear that his artwork helped him overcome the tragedy of his sons death. The scene above gives hints of an after life with the sun-like figure at the bottom with a lady seeming to enter into it. Giving a sense of leaving the earth (the dark red, not so welcoming background) and entering heaven. 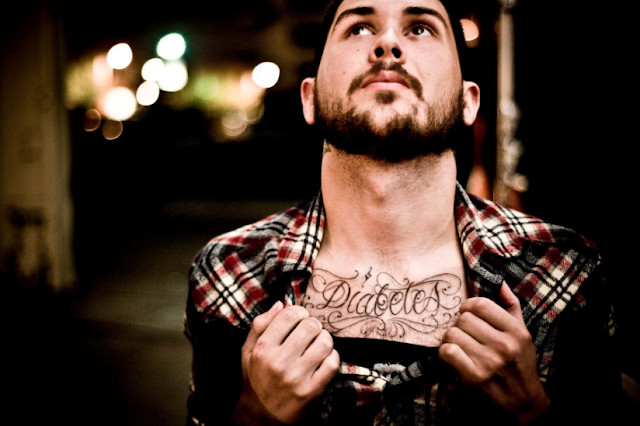 These hidden meanings are emotionally luring to the viewers making him an intriguing artist. PROFILE | Rob Gonsalves | Dream or Reality? 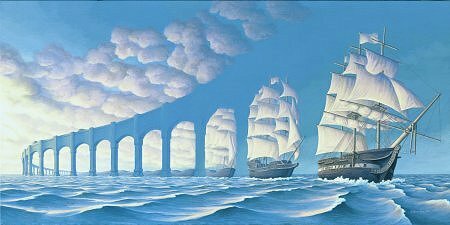 ﻿﻿﻿﻿﻿Artist Rob Gonsalves, known as the "Magic Realist", once a practicing Architect began painting full time in 1990 after receiving great feedback at the Toronto Outdoor Art Exhibition. 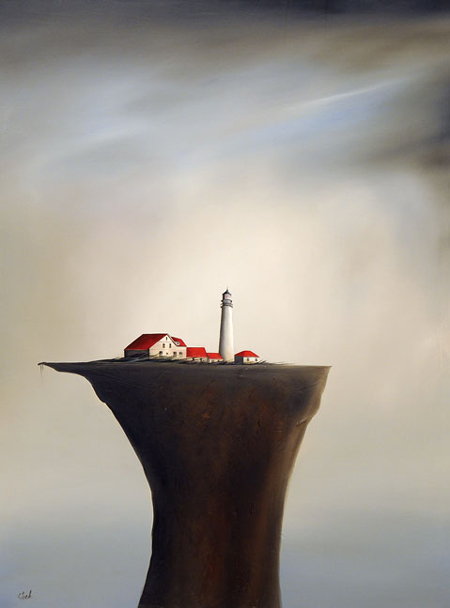 This Illusionist has a style many consider along the theme of surrealism, and can wow you in his transition of blending scenes that will leave the viewer to think outside the laws of nature mixed in a dreamlike state. Using his imagination and intellectual skill tought through his Architectural studies, Gonsalves is clever and witty in fooling the observer by placing a picture within a picture. Here in, deceiving the viewer by sometimes drawing your attention away from detail then back towards the detail within the hidden scene or meaning of his paintings. Contemporary artist Julian Beever stands above your average artist due to his style, scale, and perspective of his artwork. Julian Beever is an English chalk artist who has been creating trompleiol chalk drawings on pavement surfaces since the mid-1990s. He started off as a painter during his younger days and slowly moved on his signature style he has today. He uses a projection technique called anamorphosis to create the illusion of three dimensions when viewed from the correct angle. augusto sandroni, painting based on photo, 2010, oil on canvas, 28" x 18"
A local artist from the Austin area, Augusto Sandroni is not a very common house hold name. Getting his start in 2009 Sandronis' style seems to favor abstract and vibrant forms of art work. 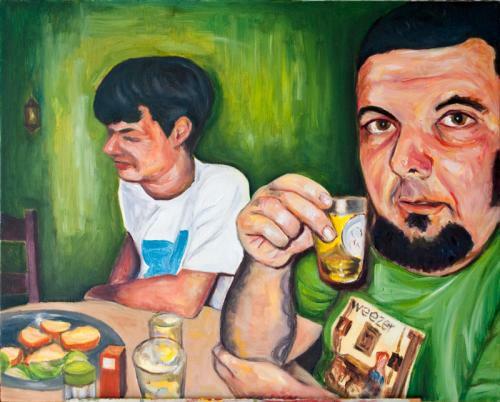 The piece above Painting Based on Photo, Sandroni shows off this abstract technique to emphasize the two men portrayed in the oil painting. The man closest to the viewer with the green shirt and shot in his hand has a over emphasized head and facial features such as his eyes. The man’s eyes are almost fished-eyed or bug-eyed. Which almost gives a creepy deep stare at the viewer? The full intention of artwork is what the artist mentally then physically creates combined with the later reaction to the work by the viewer. 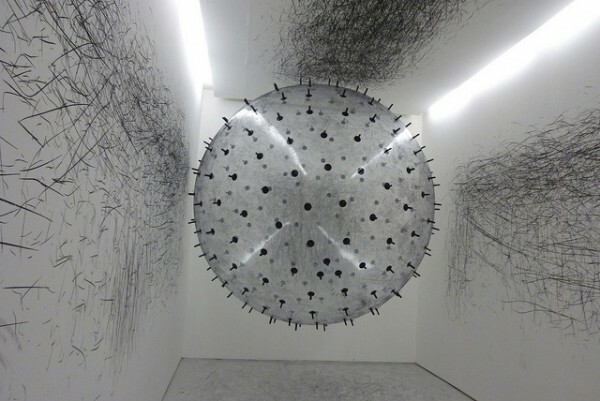 This is Karina Smigla-Bobinski's exact intention in her installation, Ada. 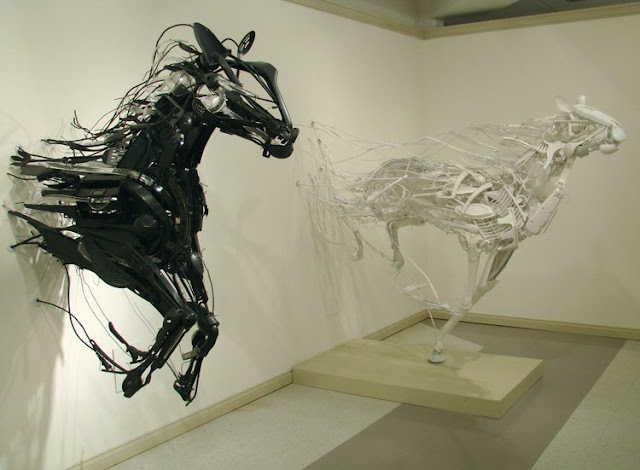 Inspired by Ada Lovelace, she created this free moving sculpture that operates like a computer to make a creation of its own. The intended attention this piece needs to fulfill Smigla-Bobinski's vision is achieved when the 300 charcoal sticks poking out of the helium filled balloon react with human contact hundreds of times. Dragging myself from one art gallery to another and finding no inspiration worth mentioning I pass a mailbox and do something worth mentioning, I laugh. The image is a stenciled painting of a Buddha sitting in meditation over a script of words which read, “If you’d stop building walls, we’d stop painting on them” on the side of a mail box. The ambiguous use of the figure offset by open ended space, combined with manipulated yet uncontrolled splatters and stains define the work of emerging artist Sy Simone, or as known by the art world Cherri Wood. While at work- usually in the early hours of morning, Wood reaches to her intuition and inspiration from start to finish, depicting naive, ghost like figures. For the most part young and feminine, emerging from the somewhat unattended background, they symbolize the unrest within the human psyche today. 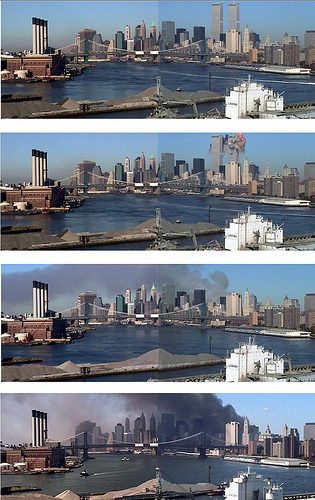 Wolfgang Staehle is an artist emphasizes a visual eye for real life, in order to see an unfolding real time events. He places three cameras in different locations for about twenty four hours. 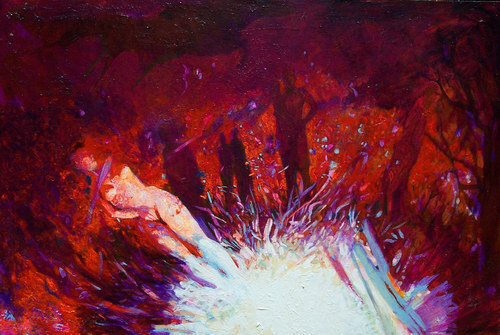 Staehle shows a sense of connection, sensation, and dynamic. 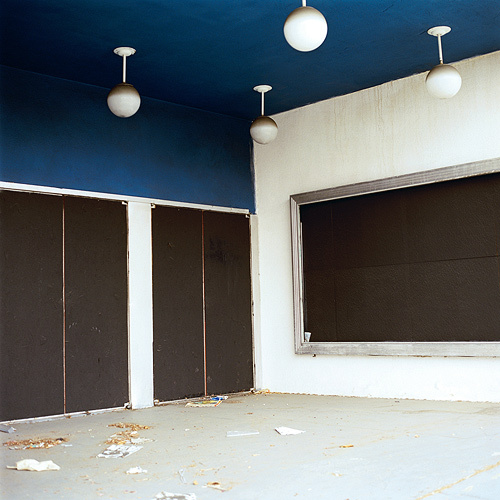 He introduces a new way of landscape and photography by using film to show images of real life. Most photographers take one image of life, landscape, and items. You see every moment developing in front of you, so your able to see each and every detail that you can not see with one image by taking it once. As shown on his website, Denis Beaubois is an Australian artist living in Sydney, and was born in 1970. Generally being a video artist, Beaubois has already began going down a very contemporary path by the fact that he is using a newer medium coupled with the deep messages he seems to be trying to get across. One of his latest most well known works is entitled “Currency”. This work is solely two stacks of $10,000 dollars. The total amount of money of $20,000, and is in two stacks placed on a white pedestal. Oddly enough this work, in late July, sold for $21,350. Paul Kenton is an artist and surfer rolled into one which makes his works of art a laid back playful delight. As a young boy Kenton moved to the small town of North Devon which shaped him as an artist forever. He grew up riding the wild waves of the shore line which lead him to travel all over. Kenton began painting at an early age and has been passion about that and surfing ever sense. Once you look at Kenton's work you will be able to see the surfer mentality and how it has influenced his painting style. The artist was born in Okinawa, Japan in 1973. His birthplace is of great significance for the history, culture, the very landscape of his native island are foundational to his unique perspective. Okinawan culture and tradition are literally the fabric Teruya offers in his You-I, You-I. It is a lovely and lyrical piece, a kimono, that, in keeping with the tradition of his homeland communicates the history of his people and place. Created using centuries old bingata dying techniques, the kimono stays true to the tradition of communicating the history of his homeland. Artist Noguchi Rika has a way of capturing light and taking photographs. She captures not only something that is visually beautiful but holds something more than what meets the eye. She caught my attention with the simplicity of her photos and the appearance of a deeper significance. Japanese born Noguchi graduated with her BFA in photography from Nihon University in Tokyo Japan. She currently lives in Germany and has been presenting in art exhibits internationally since 1995. 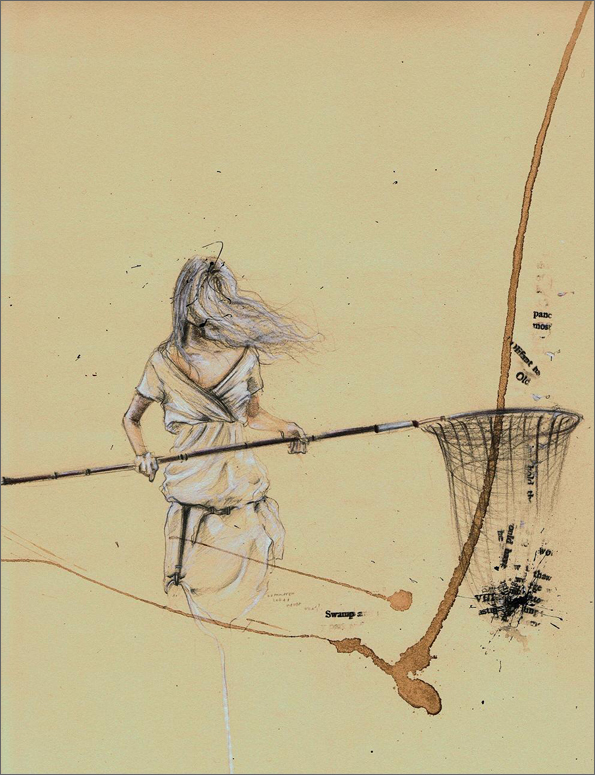 Originally trained as a glass painter Sigmar Polke would become identified as the Alchemist and an adopter of American Pop Art. 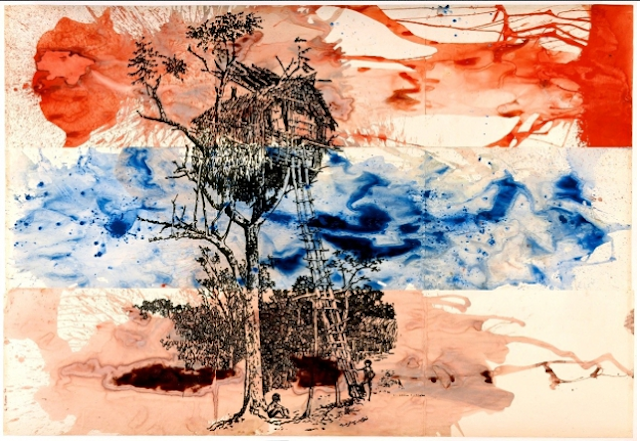 Mr. Polke was a German based artist, his techniques and imagery would come to be as influential as Jasper Johns, Robert Rauschenberg and Andy Warhol. And is also linked to have directly influenced artist such as Martin Kippenberger, Albert Oehlen and Richard Prince. The only problem is that I have never heard of him until now. In a world at constant battle: high and low art or culture, fine and pop art, division and unity, yin and yang, very few artists in the past have achieved acceptance amongst the elite art scene critics as well as the general public commercially. Instigating a balance between one of a kind fantastic sculpture and mass produced iconic figures of “cuteness”, Takashi Murakami has potentially laid the stepping stones for artists of the future. Murakami focuses on moving from an age of discrimination and segregation within the art world, into a revolutionized double helical realm of creative freedom and exploration. 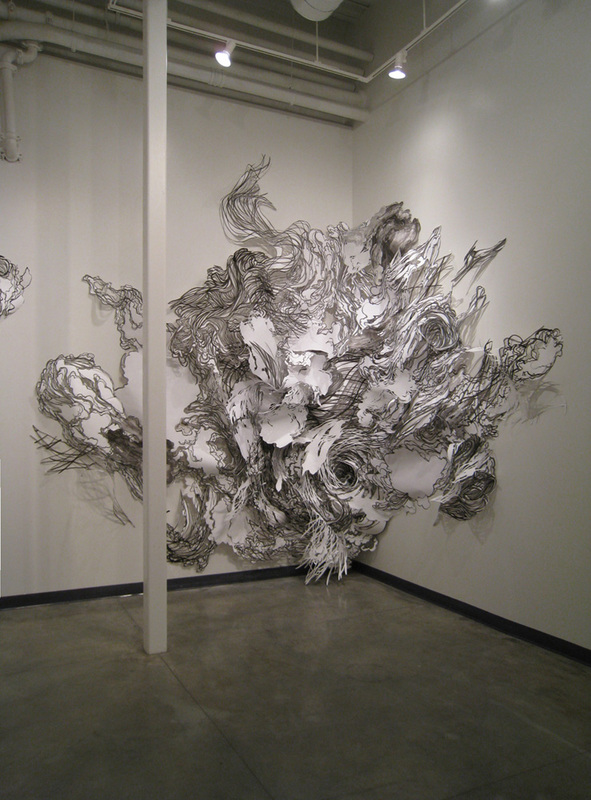 Mia Pearlman is a site-specific cut-paper artist from Brooklyn, New York who has been exhibiting her work in galleries since the mid 1990s. PUSHING PAPER, the series she did for the A.D. Gallery at the University of North Carolina Pembroke, is her most recent series of cut-paper installations that are based on the weather patterns at the time of her residency in Pembroke and of the political climate as well. 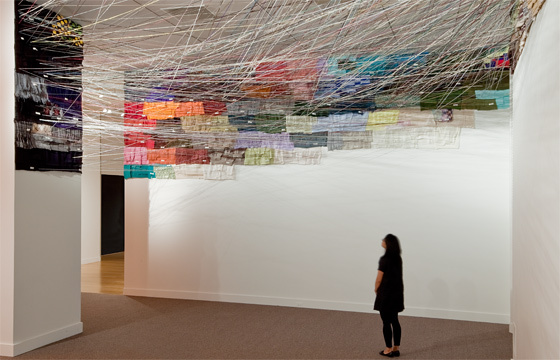 Spontaneity, imagination, and intuition along with rolls of white paper are her key ingredients to making these very large and breathtaking installations. From iwdrm (2011), Source: Dr. Strangelove or: How I learned to Stop Worrying and Love the Bomb, Cinemagraph, Stanley Kubrick, (1964). The two artists known as cinemagraph's innovators, Jamie Beck and Kevin Burg describe the cinemagraph as, "...an image that contains within itself a living moment that allows a glimpse of time to be experienced and preserved endlessly." Steampunk is a sub-genre of science fiction, an alternate timeline in a Victorian setting where technology has taken a different path. The movement began to pick up momentum in the 1980s and 1990s with films like Wild Wild West, Japanese animations like Steamboy and more recently in TV shows like Firefly and Warehouse 13. 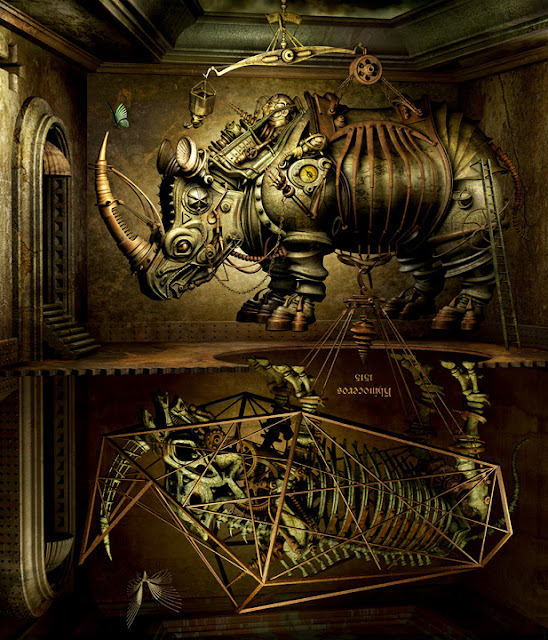 Steampunk's origins may have begun in literature with Jules Verne but it's now rearing it's bio mechanical head in visual arts with such artists as Kazuhiko Nakamura. Canadian Johnathan Hobin's work explores the nature of how we deal with children. 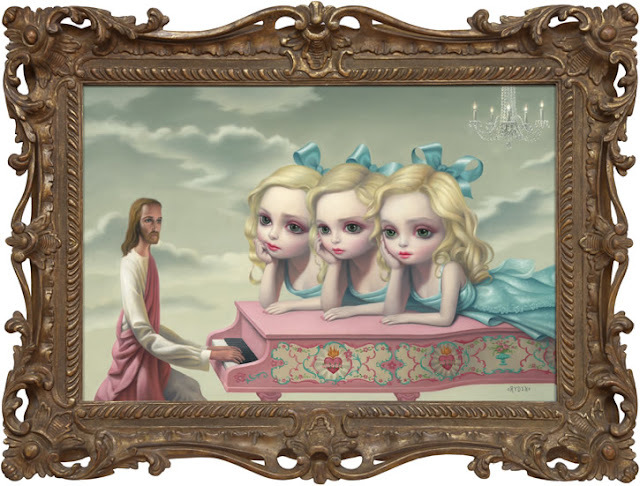 His 2010 series In The Playroom has drawn controversy for its depiction of children in tragic or catastrophic events. 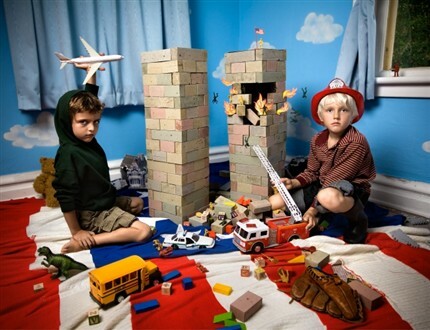 In this collection, children are literally photographed in playrooms, using toys as their props. This reinforces what Hobin says is the impetus for his art: darkness is inherent in the world, children will be exposed to it and scenes branded in their minds will follow them into the playroom and all other aspects of their lives. Michal Rovner is an artist whose work is primarily concerned with the limitations of opinion. As a native of Israel she is keenly aware of conflicting outlooks, and works with an aversion to expressing opinions artistically. Because opinions are based on human experience, they are subject to change. Therefore accurate representation is impossible. In her video Mutual Interest, Rovner asks the audience to enter a pitch black room.